Trump claims his wall will be beautiful and that it will have his name on it. Does he really need his name on another structure? Is this desire more about fame than logic? Is a concrete barrier that divides people anything but ugly even if shiny gold letters spelling “Trump” adorn it? 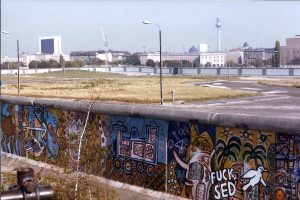 Did the Berlin wall graffiti help the Germans enjoy the wall? Normally I consider myself non-political. It appears to me that both parties hate each other, which repels me from both sides. However, this wall issue has stirred me up. Yes, the politics prompting wall construction in Germany and the United States differ. 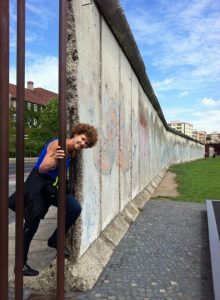 However, I would like to suggest that Donald Trump and any other wall supporter book a flight to Berlin Germany and spend a day visiting The Berlin Wall Memorial and Museum. 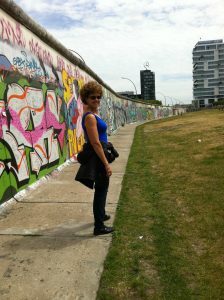 I visited the Berlin Wall Memorial in 2015 and was so thankful to see that the wall no longer existed except as a showcase to history. I do not believe the German people are proud of this past era and I doubt it would be America’s pride either. Let us hope this wall is never built and that the leading minds of the USA can utilize its intelligence and resources in a more progressive and positively inspired manner. I welcome your comments about Donald Trump’s proposed wall. Is it a wise and sound investment?